We are saddened by the passing of Gene L Brown, 89, of Hoover, on Oct 30, 2018. Gene passed away peacefully in his sleep at home. Gene was born and grew up in Dale County, near Ozark, AL. After high school graduation, he was drafted into the US Army. After serving a tour of duty in Germany, he was discharged, and returned to school at the Georgia Military College, and subsequently Mercer University, where he received his B.S. degree. Following graduation, he returned to active military, serving in the US as well as Germany, Korea, Vietnam, and as an exchange officer with the British Royal Army Ordnance Corps. Between overseas assignments, he attended the University of Alabama, Tuscaloosa, where he earned his Master’s degree in Business Admin. Gene retired from the Army in May 1986 after 30 years of distinguished service, holding the rank of Colonel. After his retirement, Gene worked for 10 years at the UAB Comprehensive Cancer Center in the Clinical Trials division. Gene loved his family and his church (Bluff Park United Methodist Church), and enjoyed golfing and socializing with friends at the Hoover Country Club, golfing just two weeks before his death. 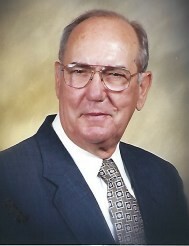 He is survived by his wife of 62 years, Jean Norris Brown, son Ronald (Fultondale), Lea Bennett (Bob, Minneapolis), Patty (Paul, Santa Cruz, CA), granddaughters Flannery Fitch (Chapel Hill, NC); Molly Singer (Chicago); sister Dorothy Halstead (Dothan); brother-in-law Jim Norris (Susan, Atlanta), and many loved nieces and nephews. Memorial service Friday, November 2, 2018 at 2 (visitation at 1) at Bluff Park United Methodist following an internment at the AL National Cemetery. The family prefers memorials to the Bluff Park United Methodist Church, 733 Valley St, Hoover, AL 35226.